Q's Tech Spot: Windows Media Player won't play that file? I see this often that my friends think you need to pay for a DVD playback program to play files that Windows Media Player won't play. In most cases all you need is a codec. A codec is a decode filter that just translates a different type of video format. Windows does come not with a complete set of codecs which is the reason you cannot play certain files. The good news is you do not need to buy or download another video player to play these files. 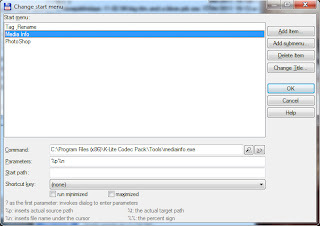 There is a codec pack called K-Lite that has just about every codec you will ever need to playback any file. The even better news is this pack is free. When you download K-Lite there is a basic, standard and full versions. I recommend the full version but make sure to un-check the option to install Media Player Classic during the install process. The player works but I prefer to use the Windows player. 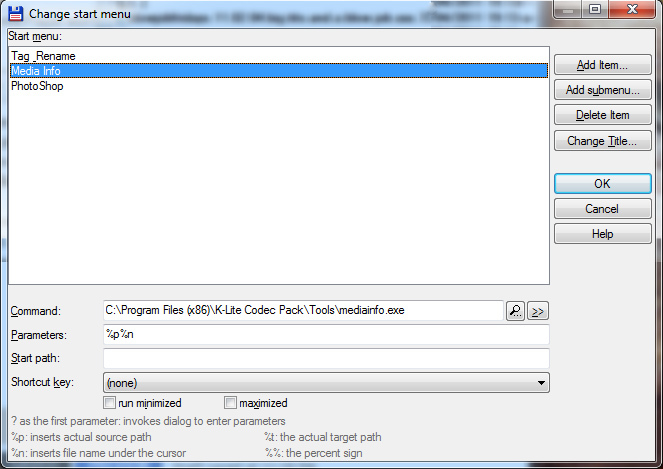 There is also a handy utility called mediainfo included with K-Lite. It will show all kinds of details about a video file like bit rate, codec type, width, height and a bunch of other very useful information. 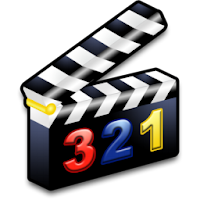 If you install Total Commander you can use the Start Menu with this utility to make for a very easy way to check video file info. I included a screen shot of the setup in TC for mediainfo.